Street Publishing Co. 2018. Photo Credit: Donna Crous. For month’s I’ve been eying an Air Fryer and finally decided to bite the bullet and bought this 3.2 qt by Elite Platinum . Despite it’s catchy name, an air fryer is essentially a convection oven on your counter. You can bake, roast and make crispy fries in a fraction of the time without using cooking oils. 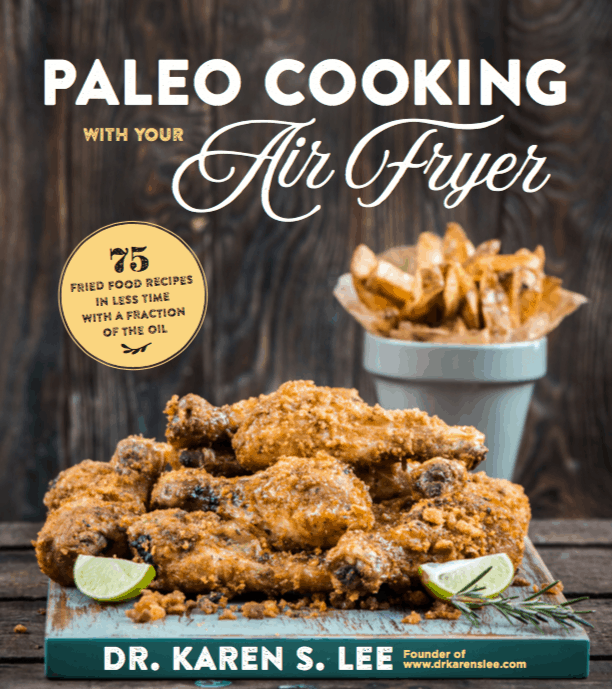 As with any new appliance, I needed recipes and lucky me, my friend Dr. Karen Lee just released a fantastic new cookbook called Paleo Cooking with your Air Fryer. Dr. Karen Lee is a retired Chiropractor turned blogger with emphasis on holistic health and real food recipes to help working moms with busy families. It contains 80 Paleo recipes. – the recipes are Paleo-friendly appetizers, meat dishes, vegetarian, desserts, and staples. Real and whole ingredients – all the ingredients are unprocessed, real ingredients that are available at local stores if not easily made at home. Some of the basic staples are in the book. Recipes include: Healthy Korean Chicken Wings, Not Your Gramma’s Fried Chicken, Bacon Wrapped Scallops, Beef Negimaki, Calamari on Fire, Huevos Rancheros, Healthy Chicken Fried Steak, Lobster Mac & Cheese, Sour Cream & Onion Kale Chips, Vegetable Tempura, and more! As you know, making Paleo food crispy can be challenging. These are some of the most popular dishes that have been Paleotized and modified to yield a crispy texture using the air fryer. With Paleo Cooking with Your Air Fryer, you can indulge in your favorite fried foods without compromising your health or wasting lots of time and effort. Each of these fantastic air fryer recipes skips the gut-irritating pot of hot oil, but keeps the savory, crispy texture you crave, so you can make your favorite meals the fast and healthy way—using Paleo- approved ingredients! Dr. Lee also shares her secrets for making crispy veggies, decadent but diet-approved desserts and even kitchen staples, all in your air fryer. With more than 80 quick, flavorful and Paleo-friendly recipes, you’ll be treating yourself (without cheating your health) in no time at all. 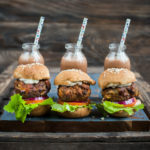 Grab this recipe for Meatloaf Sliders that are easy to make and Keto to boot! make sure all of them are similar in size, so they cook properly at the same time. Place the patties on a platter and refrigerate for 10 minutes for the flour to absorb the wet ingredients and the patties to become firm. Place as many patties you can fit in the basket and close. Set the timer for 10 minutes. Check the patties half way. When the timer goes off, take them out to a serving platter and cover until all the patties are cooked. These sliders are perfect on your favorite paleo breads or biscuits (P.164) or on lettuce wraps or with a side of spring greens. I have been SO curious to try an air fryer!! With a meal like this, I’m in! Her cookbook looks awesome, I can’t wait to get one. 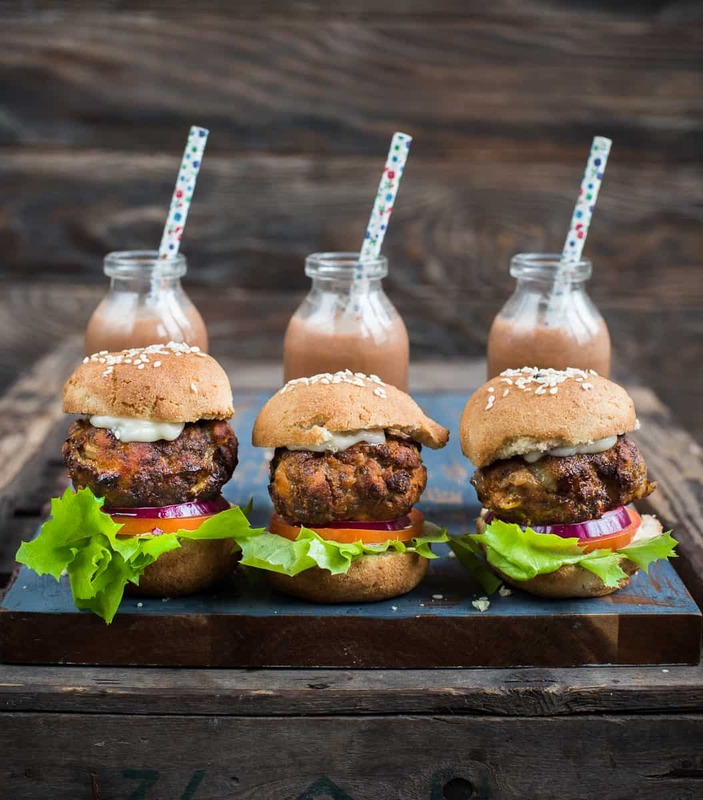 These meatloaf sliders look amazing! Well I have never heard of an air fryer but I am pretty sure I MUST have one now! This looks incredible! Yum, I may need to purchase an air fryer. These look fantastic! Okay, I would get an air fryer just so I could make these. They look delicious and filling. Mini food is totally my thing. These l0ok amazing. YUM!! Absolutely love this book. The photos are gorgeous and the recipes are delicious! These are so juicy and flavorful! Yum! I just received an air fryer recently and don’t these sliders look incredible. Will have to give these a go. I’ve never used an air fryer before but those look incredible and so crispy!